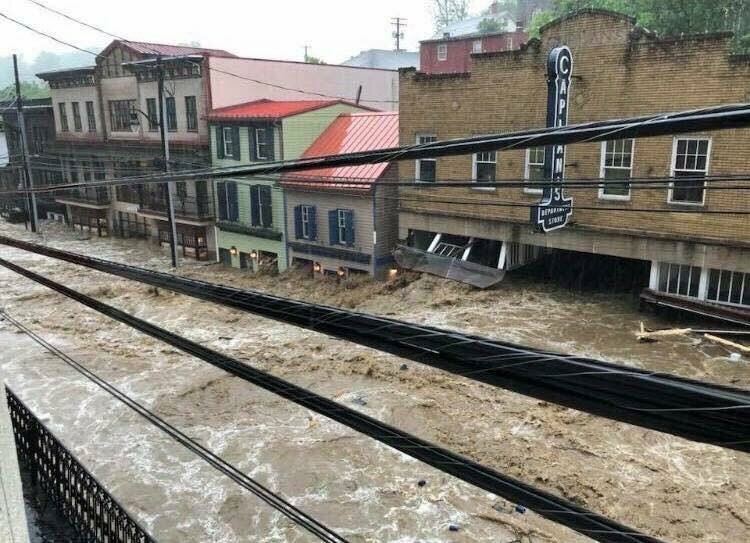 Ellicott City Flood of 2018. Photo from Shannon Baranoski. 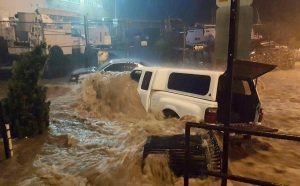 On the afternoon of May 27, 2018, Ellicott City, Maryland endured yet another devastating flood — the second time in less than two years. 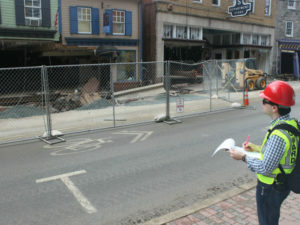 Preservation Maryland stands ready to support the rebuilding, recovery, and rehabilitation of this historic community. 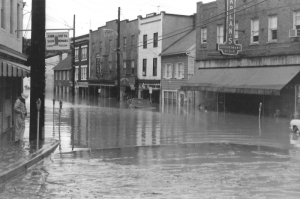 In the days and weeks following the 2016 flood, Preservation Maryland provided hundreds of hours of support to the community — from surveying and documenting damaged resources to providing cash grants to organizations and non-profits to help restore damaged structures. Following this latest flood, we fully expect to be involved in the recovery again. To help support that work, make a gift to our re-activated Flood Recovery Fund. Donations to the Fund will support property owners with technical preservation assistance, grants to organizations and other charitable recovery efforts as they arise. Learn about our previous support for Ellicott City and read our 30-page report.